Work is set to begin on the first phase of a potential 600km key network of cycling and walking routes across the Liverpool City Region. Metro Mayor, Steve Rotheram, and the Liverpool City Region Combined Authority ratified the £8.3m funding for the first 55km phase of the network– including a Sefton route– at its meeting on Friday (December 14). The 15km route between Southport and Seaforth will link into a wider strategic cycling route into Liverpool City Centre. The route links major growth areas with new areas of housing and completes the Sefton Coastal cycle route. The proposed 600km cycling and walking network is based on upgrades to around 31 key routes across the Liverpool City Region over the next 10 years. The network will be planned on a whole city region basis, both improving links to the public transport network and between residential areas, employment, training and retail sites. Meanwhile, work is already underway on bidding for funding for the next phase of the network with the launch of a questionnaire on people’s cycling and walking habits to help shape what a wider network would look like. It can be accessed here . Two thirds of all journeys in the city region are less than five kilometres but half of those are made by car. Through the Local Journeys Strategy, Steve Rotheram and the Combined Authority recognise that getting the infrastructure right is key to encouraging people out of their cars, particularly for shorter journeys. The cycling and walking network is one of the first actions bringing the Local Journeys Strategy to life. 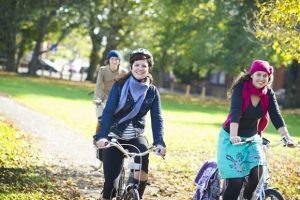 Making places walking and cycling-friendly not only reduces congestion, improves air quality and brings significant health benefits, it also has wider economic benefits – boosting inward investment and attracting new talent by helping create the places that people want to live and work in. The programme will also see the management of new wood and grassland areas and the planting of trees alongside the routes. In addition, the funding will support a new pilot project by Liverpool John Moores University, trialling innovative methods of collecting cycle and walking trip data and the development of a cycling app and journey planner. Transforming Cities Fund and other contributions will come from the LCR CA’s constituent local authorities.